JCCNV: Family Fun at the Farm! No matter where you live in the Greater Washington area, you were probably close to an “Israel@63” Yom Ha’atzmaut celebration last Sunday, which happened to be Lag B’Omer. Three JCCs—the Washington, DC Jewish Community Center, the Jewish Community Center of Greater Washington, and the Jewish Community Center of Northern Virginia worked in conjunction last Sunday to provide various programming to all age groups, including a recreation of an Israeli shuk; showings of Shalom Sesame, modeled after Sesame Street; food and wine tastings; Israeli dance; the musical stylings of groups such as UMD’s all-female a capella Mezumenet and the hip hop/reggae duo from Israel, Axum; and more! It was truly a community event; not only a place for people to schmooze, but local organizations like PJLL and HIAS had booths, and JNF was on call to advocate for Israeli environmentalism and the economy. 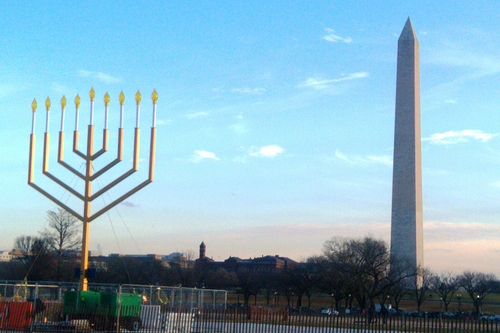 Washington Jewish Week offered discounted subscriptions. So more than just a celebration about Israel, last Sunday was a celebration about Jewish life. There’s something special about the idea that these JCCs and partner orgs banded together of a sorts; you could drive (or metro) from one place to the other and get swept up in the party anew. Two states and the District of Columbia fused into one. I hope this tradition continues for years to come! Check out the Federation write-up of this multi-faceted event here. Celebrate Yom Ha’atzmaut 5771 in DC! 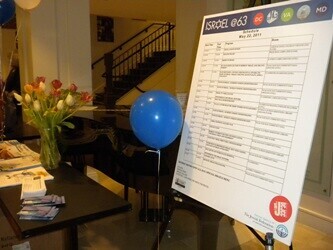 Israel’s 63rd birthday was last week, leaving local Jewish organizations to get their parties on! Check out these upcoming attractions. 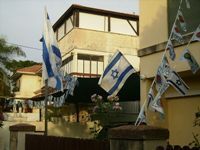 For more information on Yom Ha’atzmaut, click here. It’s that time of year again…Jewish American Heritage Month! Emma Lazarus, Jewish American who wrote the inscription below the Statue of Liberty / Photo courtesy of wikipedia. Read the rest of her statement, plus President Obama’s official declaration, here. And check out The Library of Congress JAHM page for lectures, exhibits, events and more happening on Capitol Hill! Whether near or far, Jew or non-Jew, I hope you take a moment to celebrate this small but mighty ethnic group’s contributions to American life.